The battle of the brands is reaching a climax. With globalisation becoming a reality and the world becoming a level playing field, corporations in India and abroad are gearing up to serve the global consumer. Multinational corporations are making a beeline for India and Indian firms are gearing up to go out and meet the challenge with one intent - to establish their brands. With the market bursting at its seams, an acute need is being felt for effective brand marketing strategy. To cater to this demand, Samsika Marketing Consultants Pvt. Ltd. had come into existence almost a decade ago. The first strategic brand marketing consultancy in India, Samsika is the catalyst that helps corporations grow and put their mark on the market. The complexities of the marketplace are Samsika's greatest challenges and to meet them, Samsika offers its exclusive services. Samsika Marketing Consultants has a head office in Mumbai, the commercial capital of India. Being the only specialist marketing strategy consultancy in the country, Samsika is fully equipped in terms of information technology to guide on all aspects of brand building, whether it is advertising or public relations, market or media research. Samsika is headed by Brand Guru, Jagdeep Kapoor, Chairman and Managing Director. Mrs. Sangeeta Kapoor, Mr. Jagdeep Kapoor’s wife, is the Director of Samsika Marketing Consultants Pvt. Ltd. The corporate brand name Samsika is derived from Samridh and Hansika the names of their son and daughter. Mr. Yashpal Kapoor, Mr. Jagdeep Kapoor�s father, the head of the family, is a Senior Consultant at Samsika Marketing Consultants Pvt. 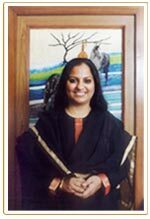 Ltd. Mrs. Asha Kapoor, Mr. Jagdeep Kapoor�s mother, is the Director of Samsika Academy of Brand Management. The team consists of a set of highly committed professionals. The core team is lead by Brand Guru Jagdeep Kapoor. He is supported by Sangeeta Kapoor � Director, Yashpal Kapoor � Sr. Consultant Samsika and Asha Kapoor � Director Samsika Academy of Brand Management. Jagdeep Kapoor has for over 20 years put brands on the map and made his presence felt. An MBA from Jamnalal Bajaj Institute of Management Studies (1983), Jagdeep Kapoor started his career with Voltas and has worked for Warner Lambert, GTC Industries, Parle Agro. The brands that he has successfully launched or dealt with include Frooti, Bailley, Halls, Saridon, Waterbury's Compund, Listerine, Panama, Chiclets, Chancellor and Blue Dart-FedEx , while he was working as an employee. Jagdeep Kapoor has successfully launched or dealt with many brands during the last few years in consultancy. Samsika has an impressive list of clients and has worked with both multinational and Indian companies. Included in the list of clients are prestigious names like Carrier, Aptech, Otis, Fevicol, Monginis, Jain FarmFresh, SuperMax, Reliance, Cinthol, SevenSeas Seacod�, Mother Dairy, Ebony, Navneet Publications, Idemitsu, Acron Rangeela, Godrej, Nirmal Lifestyles, Tetrapak, Anchor, M-Seal, Nutrela, Fevicryl, Kotak Mahindra, Safal, The Club, Biopac, Nirma, Arena Multimedia, Tally, Pidilite, Peppy, Voltas, ITC-Agro, Thermax, Motilal Oswal, Crossword, Unichem, Oonth Bidi, Kishco, Telco, Premsons, Exterior-Interior (EX-IN), Welspun Spaces, Ecole Mondiale World School, Russell Square International College, Sulphur, Tunip Agro (Onjus), Best IT ( I Ball), G. D. International, Omkar (Such Much), Alps Healthcare (Hush), SuryaGolds (Agni), Aditya Birla Group, Roltanet, Botree Software International Limited, Kores, New Era Enterprises, Postman, Dandi salt, Panacea Biotec (Thank God), Insignia Ltd (Coral), SK Industries (Jelly Belly, Chaini Khaini), Prime Tapes, Jhaveri Bros, Gruh Finance, Balrampur Chini, Ruchi Soya, Uttam Steel, D�damas, Rajdhani, Thomson TV, Hicks, Halls, Frooti, Panacea Biotec, Wizcraft, FedEx - Blue Dart, Bailley, Natural Ice Cream, M - Seal, Listerine, Nakshatra, Asmi, HiranandaniUpscale, Garware, hainiKhainiand, Himalayan Natural Mineral Water,Kisna, Eraser, TheClub, SSI, VETA, Oberoi Constructions, Cinemax, Orchid, Hiranandani Hospital, Dr. Shroff Eye, Lubrizol, Relaxo Footwears, Stock Holding Corporation, iBall, Sparx, Pee Gee, Apps Daily, Astron (Tarun Design), Hiraco, Aerofit, Neesh, Dr. Sandip Jain, Buma, Orenda, Flowguard Plus, Vikas Chains (Uphaar), Wellness Forever, Tanjos, Red Riding Scarves, Zicom, Sosyo, Metro Shoes, Baby Cell, Stuffcool, Rama Fashions, Olympia, Primacy, Mangal Moments many others. Samsika is proud to associate with the world's leading multi-nationals and India's top corporates. We endeavour to be an asset to our clients and achieve our eventual aim of making them independent of us, wherein they can successfully initiate and implement the Samsika recommended integrated brand marketing strategies themselves. Jagdeep Kapoor is also a visiting Faculty Member of Jamnalal Bajaj Institute of Management studies of which he is an alumnus. He is a visiting faculty member of British Council’s Strathclyde MBA Course. 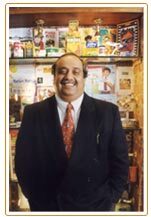 He was the Chairman of the Advertising Works Committee, Advertising Club of Bombay, and was Joint Secretary of the same. He is often quoted in the world's marketing publications including John Nasbitt's "Mega Trends" and is interviewed regularly as a brand-marketing expert on top television channels like BBC, Star News, CNBC and NDTV. Jagdeep Kapoor has also hosted the popular Dream Merchants show on Zee TV that dealt with the advertising and marketing world. Multifaceted. That's how you can describe Jagdeep Kapoor. Jagdeep Kapoor has conducted over 505 training programs and has trained over 7,447 MBA students and 13,383 Indian managers. Jagdeep Kapoor has been a Rotarian, Chairman of the Consumer Affairs Committee, Bombay Chamber of Commerce & Industry and student selection panel member of Jamnalal Bajaj Institute of Management Studies, Bombay, as well as Indian Institute of Management, Calcutta. As a writer he contributes regularly to various publications including Economic Times, Business Today, Afternoon, Hindu, Business Line, Business World, Deccan Herald and Times of India and has written over 1143 articles on Brand Marketing and Sales. • Mr. Jagdeep Kapoor�s first Book �24 Brand Mantras� has received an overwhelming response and has been on the Best Seller List. •• Mr. Jagdeep Kapoor�s Second Book �Brand Serve-31 Customer Service Prescriptions� has also been on the Best Seller list. ••• Mr. Jagdeep Kapoor�s third book �Brand Naamkaran� has also been on the Best seller list. ••• Mr. Jagdeep Kapoor�s fourth book � 18 Brand Astras� has also been on the Best seller list. ••••• Mr. Jagdeep Kapoor�s fifth Book �9 Brand Shaastras� has also been on the Best Seller list. •••••• Mr. Jagdeep Kapoor�s sixth Book �Brand Switch� has also been on the Best seller list. ••••••• Mr. Jagdeep Kapoor's seventh Book � 27 Brand Practices� has also been on the Best seller list. •••••••• Mr. Jagdeep Kapoor's eight book � Brand SEG'MEANT'ATION � has also been on the Best seller list. •••••••••Mr. Jagdeep Kapoor's ninth book “Brand Sale khel Mein” has also been on the Best seller list. Samsika was awarded the prestigious Jamnalal Bajaj Fair Business Practices National Awards from the council for Fair Business Practices for the year 2002. Samsika regularly encourages young MBA and BMS Students by presenting the Annual Samsika Awards for Marketing Excellence in Academics. The Seventh All India Annual Samsika Awards for Excellence in Academics for MBA were presented on 3rd September 2006 at the Samsika Academy of Brand Management. The Seventh Annual Samsika Marketing Awards for Marketing Excellence in Academics for BMS were presented on 4th February 2007 at the Samsika Academy of Brand Management. It is a pleasure for us to have been asked by premier corporations to form alliances that went on for long durations well into the next century. We have achieved a very high success rate in building our client's brands and our clients vouch for it. Browse through the case studies to discern their gains over a short period of time. Click here for the Samsika process.